What a year it has been for Laois Martial Arts. Here, manager and head coach Shane Culleton writes about everything from the New Years Open to the Dutch Open to Junior WAKO World Championshipsin Italy. Where do I begin. Our first event was the New Years Open in Citywest in January. 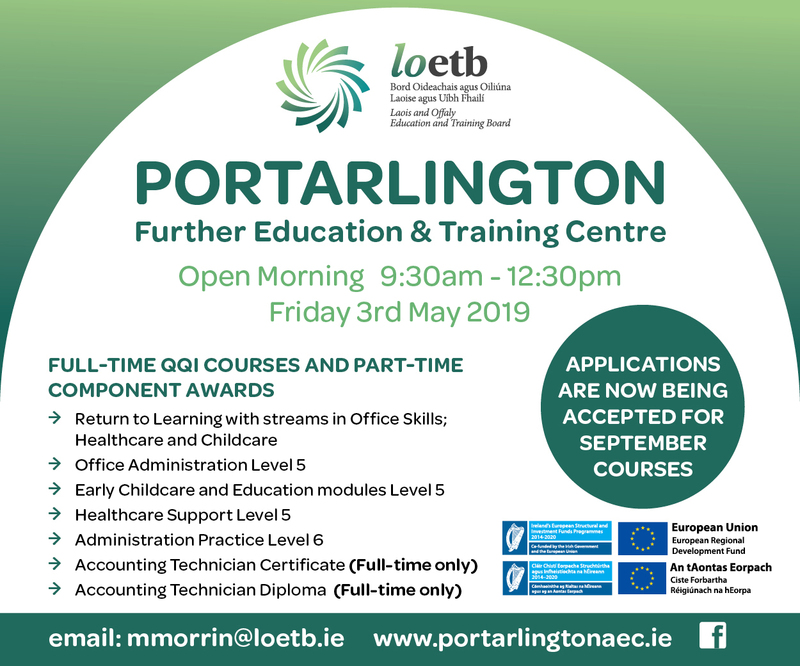 The event which is run by Tallaght Martial Arts, caters for Pointfighting, Light Contact, Kick Light, Forms and Weapons. It is the first Kickboxing Ireland affiliated event of the year which easily sees over 600 hundred fights compete in the event. Our team competed very well in the event securing a number of medals coming away with three third places, two second places and a Champion. 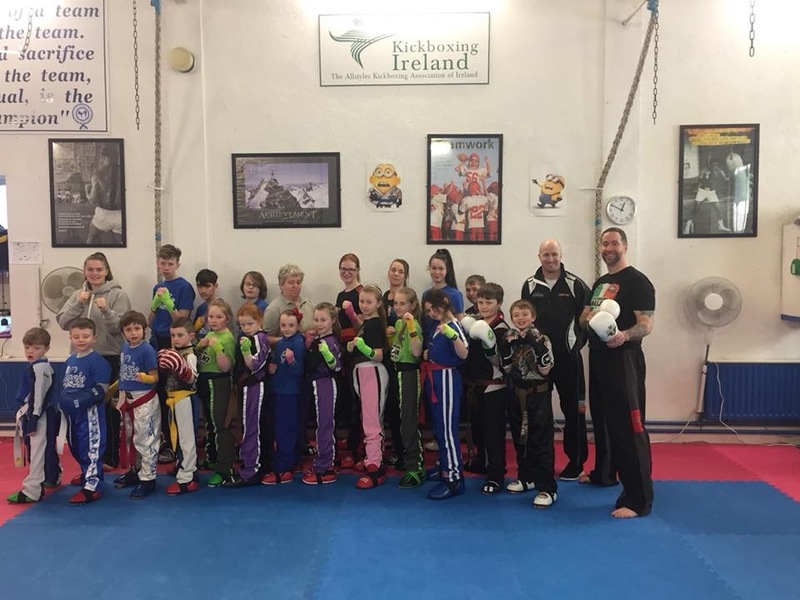 In February we took a break from competing for that month but we invited The Irish Kickboxing National Light Contact Coach John Mackey to our club to share some of the key techniques that have led to so much success this year at both National and International level. The seminar saw over 40 of the clubs members take part in what was a thrilling day of learning, development and shared knowledge with one of the greatest coaches in Light Contact. The next event for the club was the Dutch Open, in which two fighters traveled to Amsterdam, Holland. Travelling to the event were club Junior Caitlin Knight and Senior Chloe Shortall. It was Caitlin’s first event abroad, competing in Pointfighting and Light Contact. Caitlin competed very well in the WAKO level event – coming away with A second place medal in Light Contact and first place in Pointfighting. 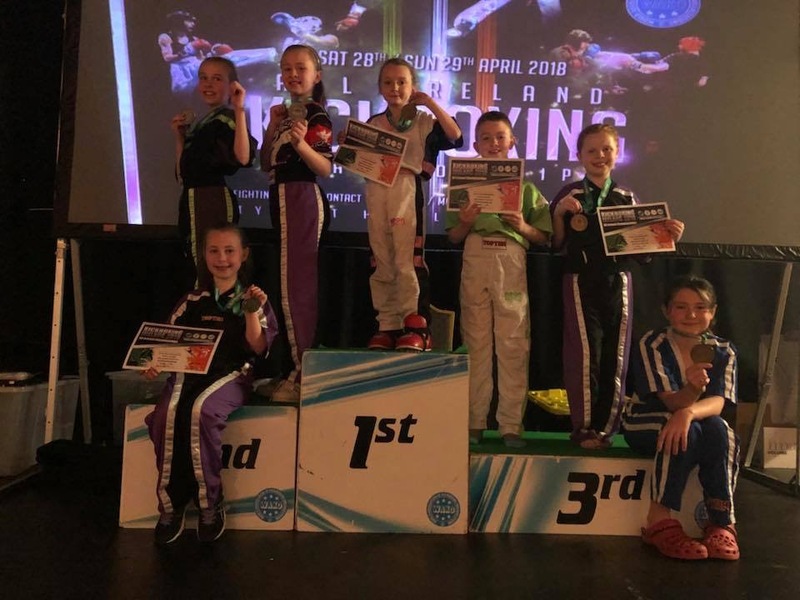 Chloe Shortall competed in Light Contact and three Pointfighting categories, coming away with a first place finish as well as one silver and two bronze in Pointfighting. Following the Dutch Open was another National Event, the Munster Open in Cork. This event is another Kickboxing Ireland affiliated event. 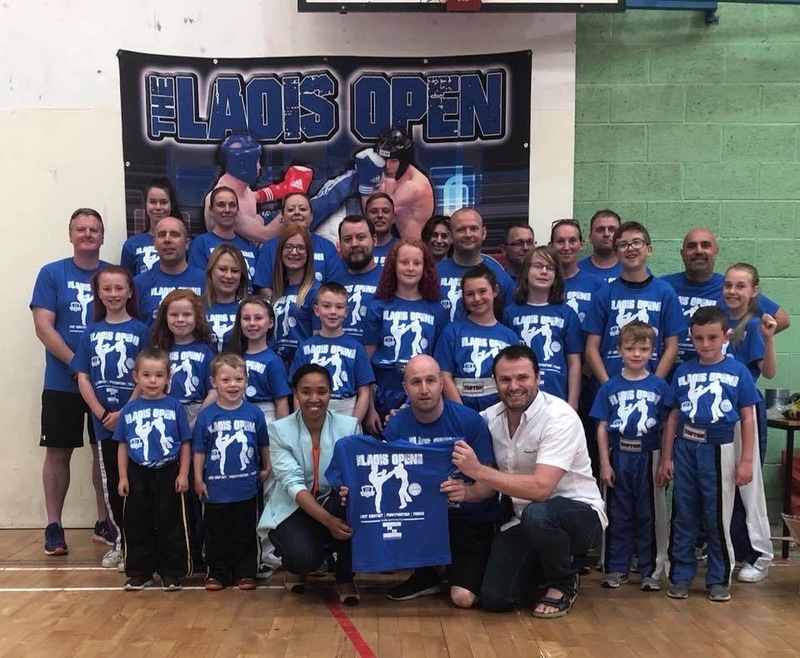 There was a big attendance from Laois Martial Arts on the day, with a team of ten competing. They came away with seven bronze, four silver and three gold medals after a long day of competing in both Pointfighting and Light Contact. The weekend of the 28 and 29 April saw the Irish National Kickboxing Championships take place in Citywest. This is the key event of the year as it opens the door to the Irish Team and the World Championships. Eight of our fighters competed in Light Contact on the Saturday followed by Pointfighting on the Sunday. Saturday is one of the toughest days of the year on fighters both mentally and physically. Two fighters, Ciara McPartlan and Amelia Reinhardt came away with silver medals, while Chloe Shortall won her third Light Contact title in five years, quite an achievement considering she is only 15 years old. Sunday was a busy day all round for the fighters and myself. It saw all eight fighters take to the mats to try and win another title, this time in Pointfighting. The club had a lot of success that day securing a total of four bronze medals, one silver medal and two champions. Kevin Mullen, Meisa Dunne, Ciara McPartlan and Shannon Conlon secured bronze medals, Hannah Reinhardt and Amelia Reinhardt secured silver medals while both Caitlin Knight and Chloe Shortall became national champions. It was a remarkable day considering it was the club’s first time to enter Pointfighting in the All-Ireland, having been seasoned Light Contact competitors before. It really does show what can be achieved when children are given the chance to develop and when a coach has the same commitment as he students – a shared goal if you will. 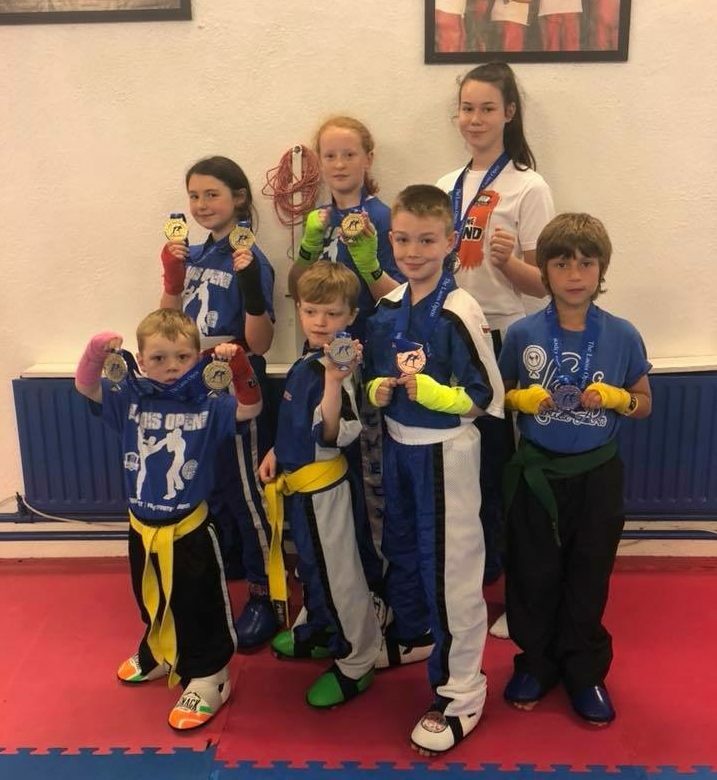 May saw a significant grading examination in the club, with over 30 students grading for various colour belts and two students grading for their Black Belts, Chloe Shortall for her second degree and nine year old Kevin Mullen for his first degree. A massive achievement for them both. The ‘B’ Elite Open took place on May 13 in Wexford. A massive team of fighters, 16 in total ranging from four to 16 years made the journey and the team really did excel that day. Seven of the team became Champions for the first time, along with seven silver medals and two bronze medals in both Light Contact and Pointfighting. The next high level event was The White Tiger Challenge, which is a full weekend of competition which sees fighters from other countries fly in for the event. This is a very well organized event which really has fighter safety and development at its forefront. A smaller team traveled to the event to compete in the two styles offered. A team of five fighters took to the mats on both days, coming away with four Champions, three bronze and one silver medal. 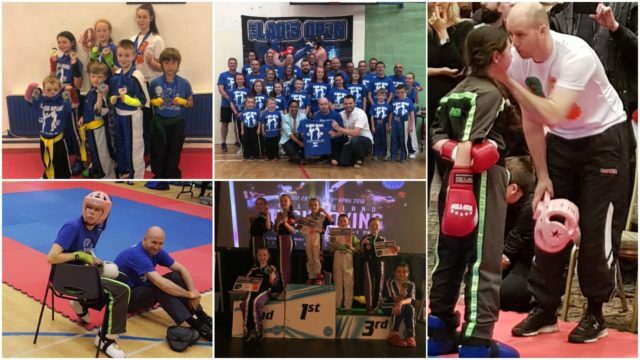 July saw a very exciting month for Laois Martial Arts as we held our first National Light Contact, Pointfighting, Weapons and Forms competition. It was the first competition of that level and a Kickboxing Affiliated event to be held in Laois. It was a huge success with over 360 competitors competing in the various styles on offer on the day. 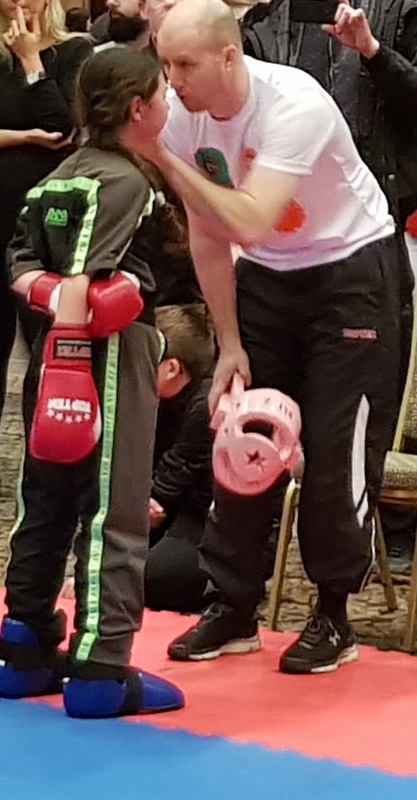 We travel to every single event on the Kickboxing Ireland calender so it was nice to give the fighters a chance to compete in their won town without the distraction of travelling. The event is already planned on the Kickboxing Ireland calender for July 2019. The team came away with a selection of medals on the day with a final tally of four gold, four silver and four bronze. The event was so special for the club and it really showed the level of Kickboxing that we are capable of doing. Fighters ranged from four years all the way up to 40 years of age. 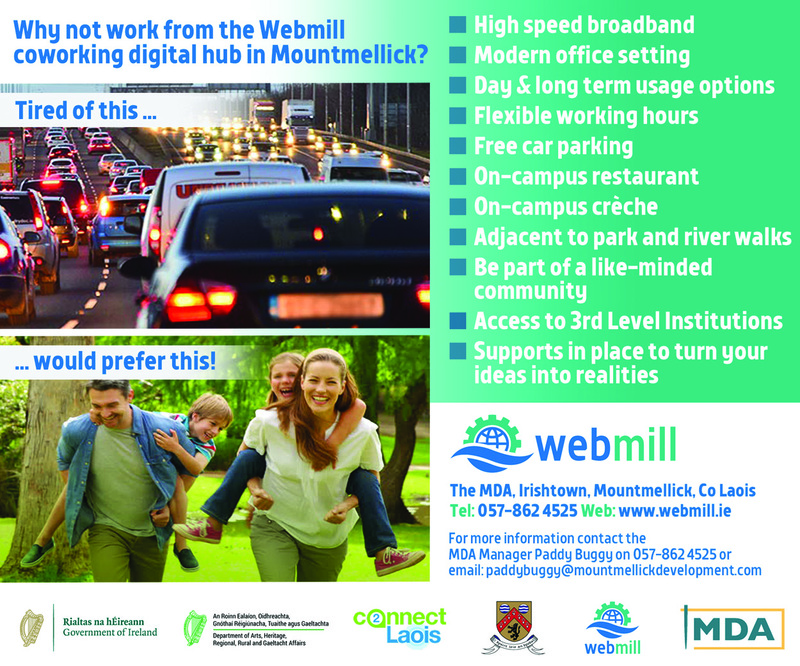 I was keen to host the event in my hometown of Mountmellick. 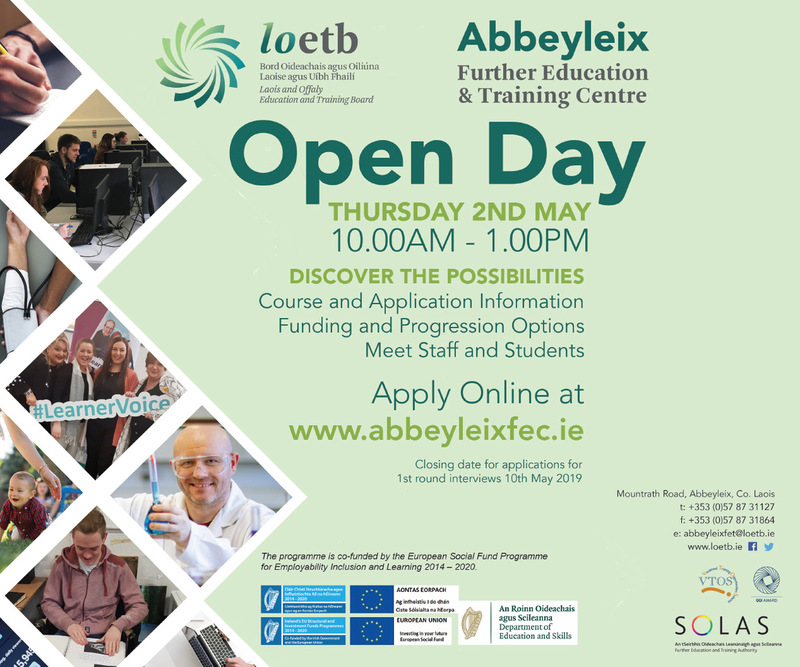 My aim was to create an event that would give everyone of all ages and levels a chance to compete on a national level within the comfort of their own town. August was another busy month for the club as another grading examination was set and one of the clubs juniors went for their Black Belt, 12 year old Amelia Reinhardt. This was another great day of development and testing our club -securing another Black Belt to the 10 students that have achieved that level before Amelia. Amelia had a five hour examination which was based around coaching, fitness, combinations, boxing and Kicking as well as the movements that are necessary to be an effective kickboxer. 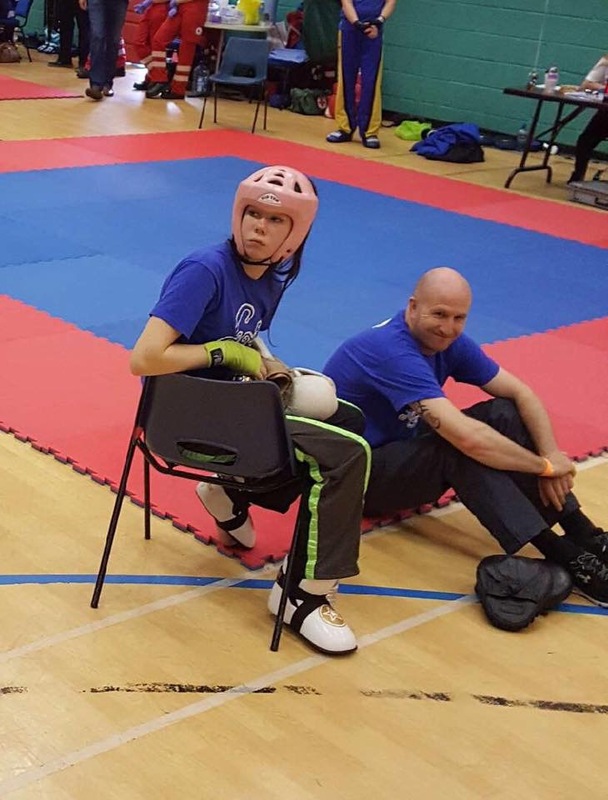 The club took to the mats again – this time at the Tallaght Open, another competition run by Tallaght Martial Arts. This event is a key event as it is the last event before the WAKO World Championships every year. Club Black Belt and Multiple Irish Champion Chloe Shortall was on the mats this day with the rest of her team before her World Championships in Italy in September. A team of 15 fighters made the event, competing in both Light Contact and Pointfighting. Next on the club’s calendar was Italy for the Junior WAKO World Championships. Five times All-Ireland Champion and current double Irish Champion Chloe Shortall traveled to compete with the Irish National team. The event is ran over ten days, which sees over 2500 fighters from all over the world competing for their own respective countries. Chloe competed first in Pointfighting, losing in sudden death to Slovakia. Two days later Chloe was in action again, this time in Light Contact against Croatia securing a quarter final spot. The next day saw Chloe fall just short in Light Contact in the quarter finals to Slovakia. This was by far the toughest day in my own career as a Coach. I have never felt that intensity before at an event. The pressure cooker that is the tunnel that you must wait in before you step on the mats is unbelievable. The focus and the vision that is needed to be able to handle this and then perform at the highest level was an amazing thing to experience. The low can be quite a thing to experience and in itself is another learning curve in what is a great journey. Following from the busy and frantic schedule of the World Championships, we were back in Ireland for The Rumble in Citywest which is run by Kickboxing Ireland President Roy Baker. The event sees over 600 competitors compete in all the key styles of Kickboxing by mainly in Pointfighting and Light Contact. In total we came away with four champions, four bronze and four silver medals for the club. The event was significant for seven year old Edward Comerford, who not only got his first wins but all his first gold medal followed by a silver medal. Shannon Conlon also picked up her first gold of the year in Pointfighting. 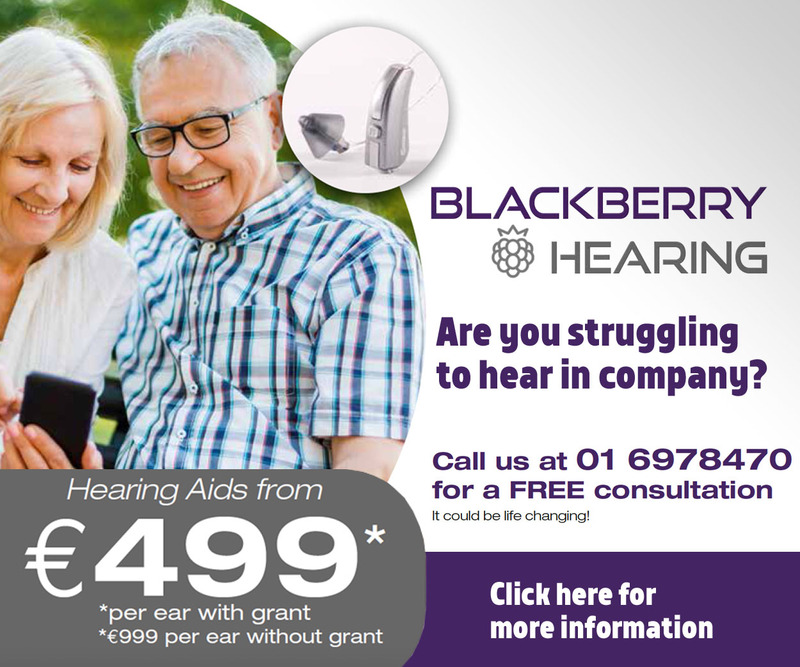 The last event of the year took us to county Monaghan on December 2. It is the final event of the year and always a nice one to finish off a busy year. The team was smaller at this event due to injuries and other commitments on the day. Our team came away with two champions, three silver medals and two bronze. What a great way to finish the year for our team. It has been a great year of development and progress for the team. We constantly strive to improve both as Martial Artists and as people. We have had our busiest year to date with competitions, grading examinations, travelling, coaching development and club development. Every year we aim to improve and to grow our sport to the eventual dream of Olympic competition. This is a real reality as recognition of our sport have been granted by the Olympic committee. It is a huge step in the right direction. Our sport continues to grow and it is the young athletes that we train and grow now that will be the future of our sport.